Putnam county, NY: Vote passed through senate for the second year in a row to allow Putnam county a ten day reprieve of sales tax in August for ten days. 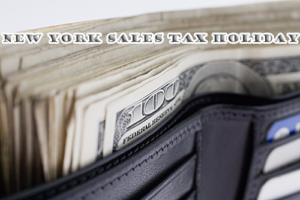 New York does not have a state-wide sales tax holiday as of yet. New York Sales Tax Holiday 2016 can be celebrate by some counties though. A bill that would eliminate the county portion of sales tax in Putnam over a 10-day period in August passed the State Senate this week. The legislation, which was requested by the Putnam County government, would mean shoppers enjoy a 50 percent sales tax reduction, from 8.38 percent to 4 percent, when shopping in the county from August 20th-31st, for clothing and footwear under $110. Earlier this year, the Putnam County Legislature passed a home rule request signed by County Executive MaryEllen Odell, requesting enactment of the measure in Albany. Of the total 8.38 percent sales tax rate in Putnam County, four percent of the generated revenue goes to the state and the remaining 4.38 percent goes to the county. This bill would eliminate the local share during the 10-day period. After passing unanimously through the Senate, the bill now heads to the Assembly.